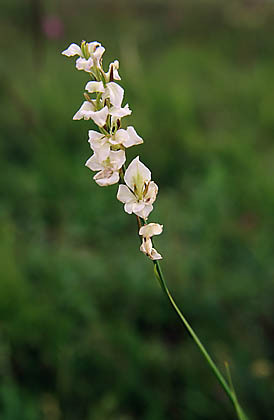 The Latin name of the plant tells us that it is a relative of the garden plant gladiolus. 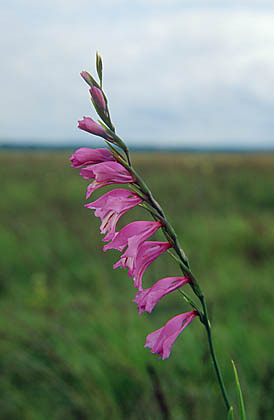 All tens of thousands of gladiolus varieties are bred from the naturally growing species of this plant genus, although mostly large-flowering species collected from nature in South America have been used as a basis. The flowers of the meadow gladiolus, mostly reddish purple (there are albino varieties too), are up to three and a half centimetres long and set in a long one-sided spike. It can still be seen flowering. NB! Do not pick the meadow gladiolus in nature, it is a protected plant.